As a child, Jeffery B. Weatherford had “large hands.” It was a fact that prompted a prediction from his grandmother: someday Jeffery would do something great with those hands. She was right. 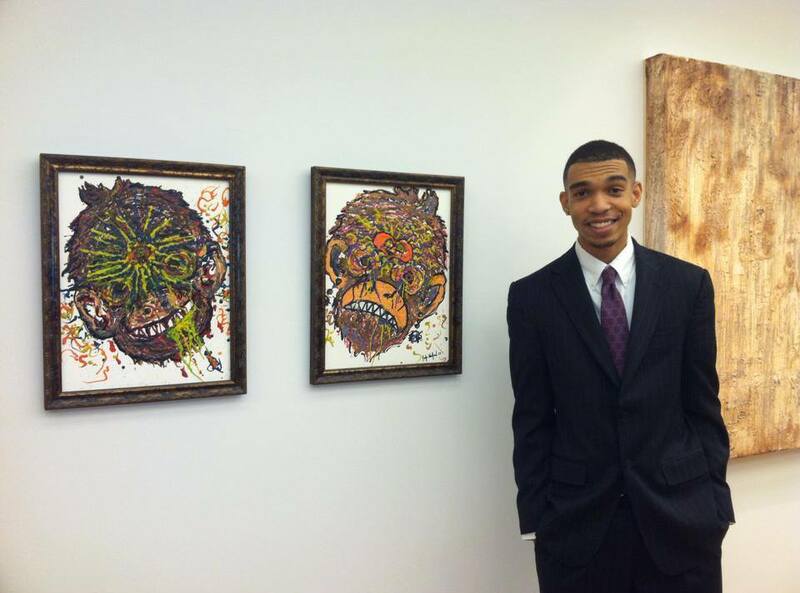 Jeffery Weatherford grew up to become a multi-talented fine artist and illustrator, who studied computer graphics and animation at Winston-Salem State University, on a full-ride scholarship. 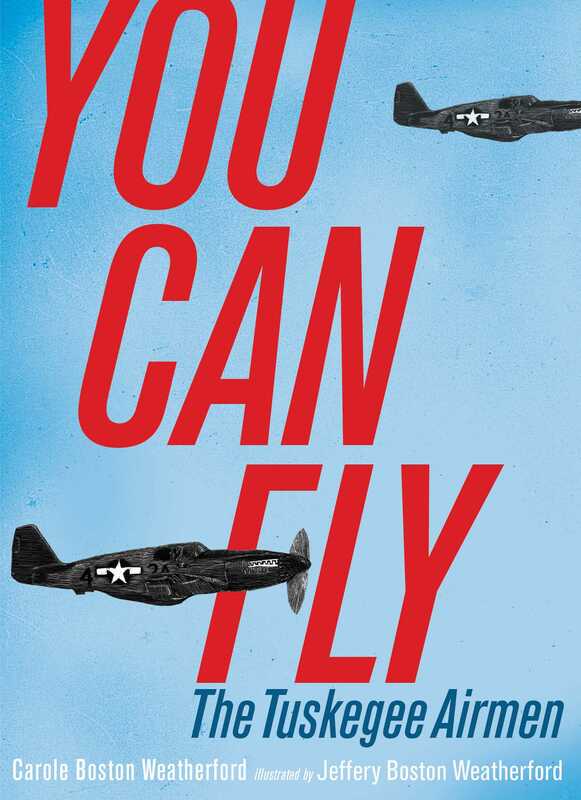 Fresh out of college, Weatherford went on to illustrate “You Can Fly: The Tuskegee Airmen“(Atheneum Books for Young Readers, 2016), his debut as a children’s book illustrator. Weatherford’s bold scratchboard art stands well enough on it’s own merits, but we’d be remiss not to mention the author of the book is his much celebrated mother, Carole Boston Weatherford (featured here in 2008). But today is all about Jeffery, so without further ado, we’re proud to host him here today. The Journey: By design, it seems I have always had a foot set towards the path of children’s book illustration as a direct result of being the son of Carole Boston Weatherford. As I was growing up, I frequently accompanied my mother to school engagements and was fascinated by her ability to captivate crowds with her words and her unique way of giving new perspectives through words. The Back Story: Typically, authors do not get to choose their illustrators, that is something that makes this book very special to us. My mother approached me with the “You Can Fly” manuscript and let me know that she would like to submit the manuscript with me as a package. It was because we submitted as a package that this joint project was born. It took about two years for the final product to be officially released and every second was worth the wait. The Inspiration: Growing up, I ALWAYS aspired to be a famous artist. The first piece that I can remember creating was a self portrait in kindergarten. When I took the piece home, my mother put it on the wall in a giant, (at least to a five year old) golden frame. I felt like I was a famous artist from very young age and aspired to be just that. I was always drawing in class instead of taking notes and it actually got me in trouble. I doodled my way through elementary and middle school, creating drawings of aircraft and weapons in my notebooks. My mother had to come in for a parent – teacher conference because I refused to take notes and was doodling in class. As a direct result of this meeting, my mother decided to put me in to art classes and cultivate my artistic ability. In high school I had the opportunity for private art lessons with my assistant principal, Mr. Joseph Johnson, who is a phenomenal artist and gave me the attention that I needed to blossom as a young artist. I also played scores of video games that featuring aircraft in futuristic, intergalactic battles. The Process: I begin my process by reading through the manuscript. As I’m reading, my mind works like a movie reel with the words and creates images for me in my minds eye. I record all thoughts that I have as I’m reading and underline all lines, stanzas, and key points that stand out to me. After I did my picture research and chose the subject matter of a piece, I drew a graphite study to layout the composition. Once that was completed and approved by the publisher, I refined the image and transferred it to scratchboard. I used various nibs for different effects. I believe that scratchboard creates a graphic novel feel. Once I sit down with a scratchboard, I don’t like to get up again until it is finished. One of the scratchboard images took 17 hours to complete. It is a very meticulous process and I achieve quite the meditative state while I am completing my work. It’s almost like the rest of the world just fades away. I most certainly would say my friend, Jason Reynolds, is a shooting star right now. He has become a huge inspiration for me in the industry. I also recently met Christian Robinson and he is also a source of inspiration and someone I consider to be rising fast in the industry. I believe children are the future and it is our jobs as illustrators (and authors) to paint a vivid picture for the child’s mind to hold on to and be inspired by. Books are the keys to imagination and every one opens up a different door. I can’t wait to see what happens next. Weatherford is such a big name to live up to, but clearly Jeffrey – with his broad reach and grasp – more than has a handle on it. The video was really informative and it was wonderful to watch the artist create. Many congratulations!